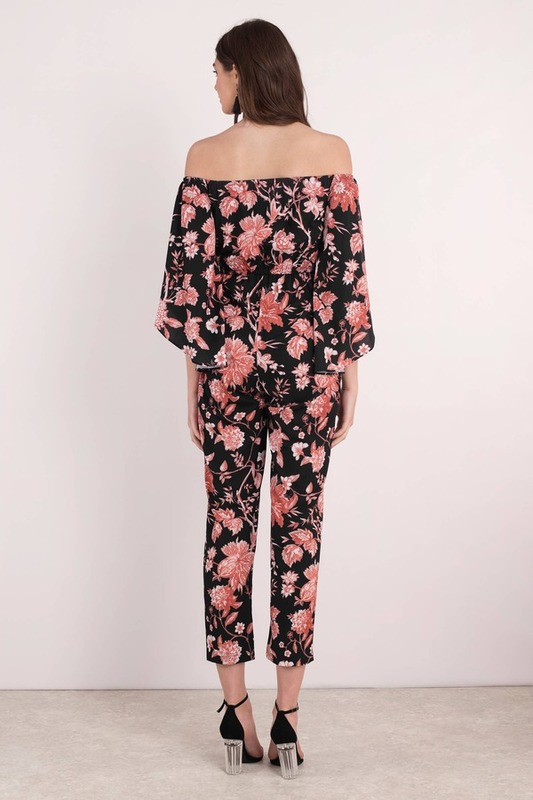 Check out Tobi's Breakfast With Audrey Jumpsuit This Audrey Hepburn approved jumpsuit is a must-have. 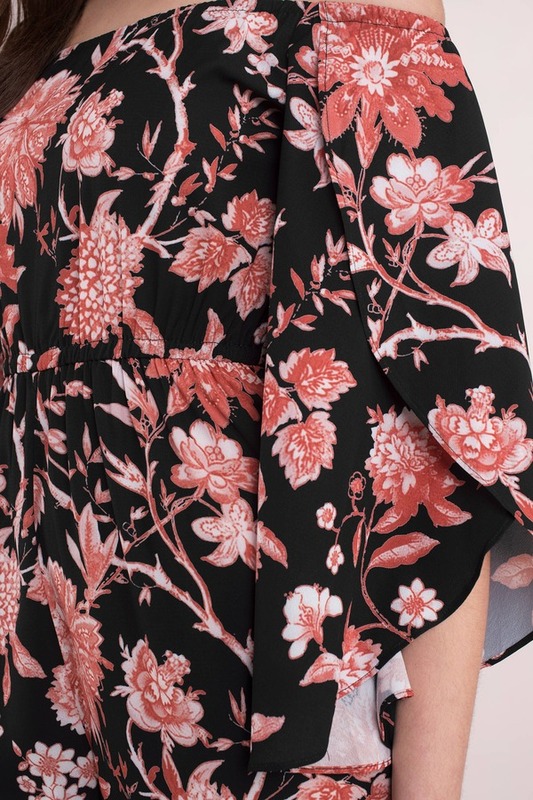 Fall in love with the Breakfast With Audrey Black Jumpsuit, featuring an ankle length bottom, fitted waist, and an off shoulder top with a stunning floral print throughout. Pair this flowy jumpsuit with ankle strap heels for a bright night! This Audrey Hepburn approved jumpsuit is a must-have. 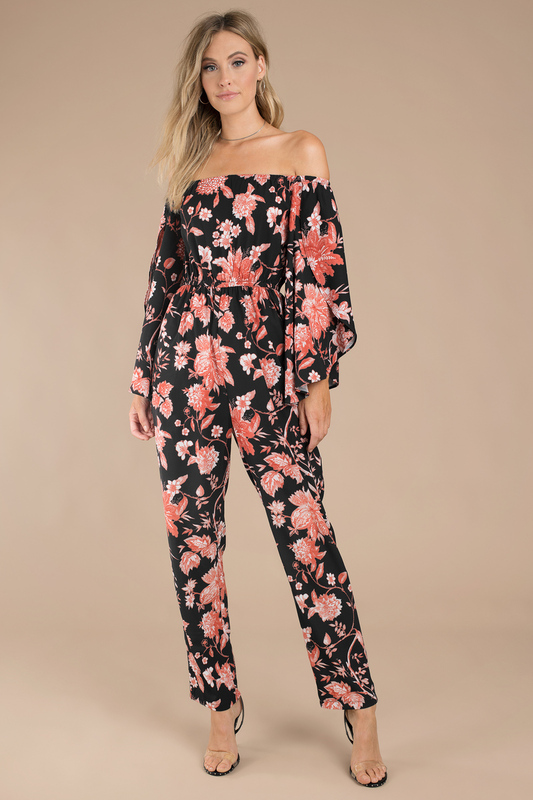 Fall in love with the Breakfast With Audrey Black Jumpsuit, featuring an ankle length bottom, fitted waist, and an off shoulder top with a stunning floral print throughout. Pair this flowy jumpsuit with ankle strap heels for a bright night!